Pope John XXIII wanted to modernise the Catholic Church. In Jan 1959 he announced a council of all the world's Catholic bishops and cardinals in Rome. It led to sweeping change. 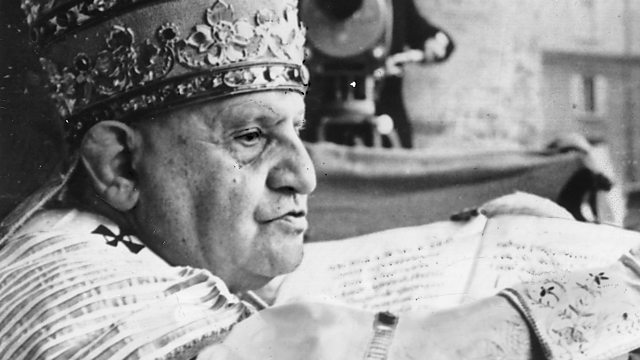 Pope John XXIII wanted to modernise the Catholic Church. In January 1959 he announced a council of all the world's Catholic bishops and cardinals in Rome. It led to sweeping reforms, including allowing the Mass to be said in languages other than Latin and an attempt to build relationships with other denominations and faiths. But not everyone was happy with the changes. Msgr John Strynkowski was a student priest in Rome at the time and told Rebecca Kesby about the excitement and controversy surrounding the council that became known as 'Vatican II'.